What are the best card games? It is not a question we would have been asking a few years ago, when some basic ports of paper-based systems and some minigames in larger titles were all we had access to. Now, there are heaps of candidates for the best card games on PC – it is one of the quickest growing genres in the industry. The best card games offer players a rich and constantly shifting meta, potentially limitless replayability, and are approachable to boot – so it is not hard to see why card games have taken off in recent years. What that means is somebody (us) needs to lay down the objective truth (subjective opinion) on which are best card games on PC (the ones we enjoy the most). We will cover everything from the biggest player in the genre today (you will never guess which that is), the best ports from paper, the up-and-comers you might not have heard of, and some of the best free card games out there. 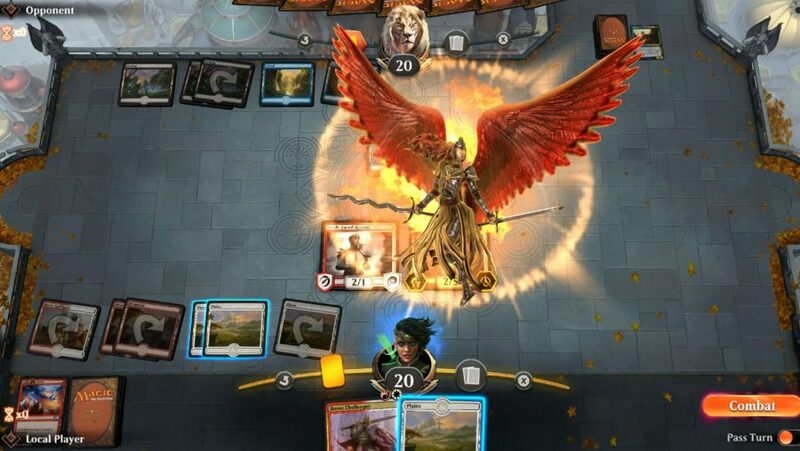 Available in open beta, Magic: The Gathering Arena is one of the best digital versions of Magic to date, and Magic arguably the best paper card game around. 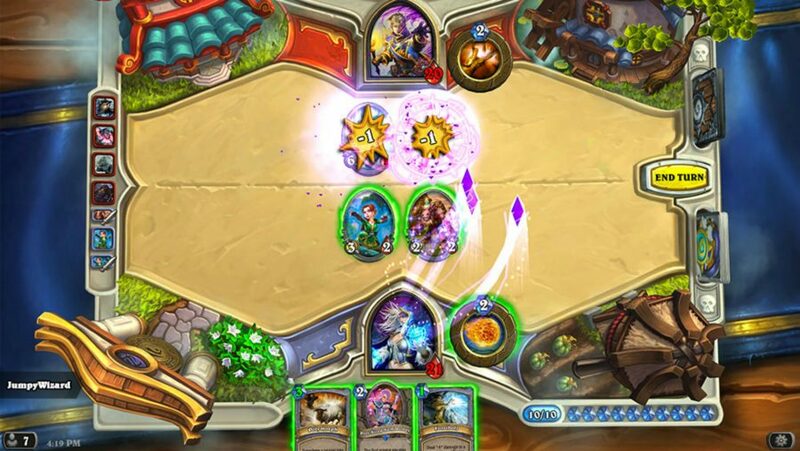 Arena offers many of the gameplay possibilities and formats of classic Magic, but with the sensory cues and lavish animations many newly converted CCG players have come to expect thanks to games like Hearthstone. Magic: The Gathering Arena will appeal to veteran Magic players looking for a more comfortable and convenient space to ply their trade, but also CCG players who are more challenge and complexity than digital card games like Hearthstone, The Elder Scrolls: Legends, and Gwent can offer. Dire Wolf Digital are some of the best card games makers in the business and their follow-up to The Elder Scrolls: Legends occupies a glorious space between the tactical complexity of Magic and the accessibility and rewarding free to play mechanics of Hearthstone. 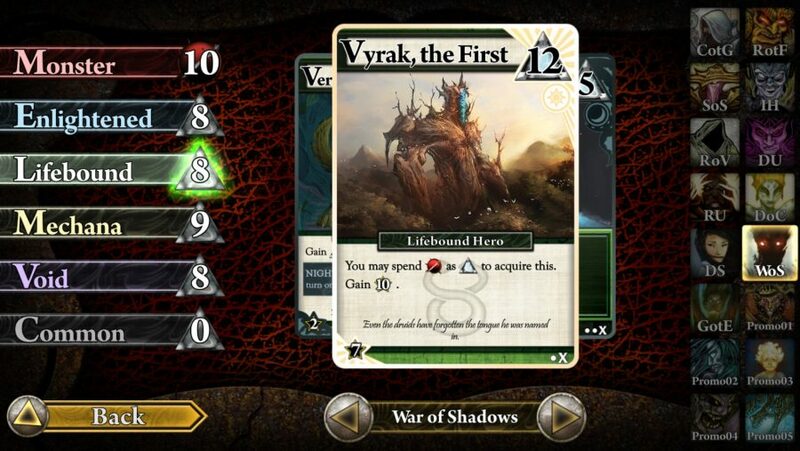 Mid-round gameplay is more volatile thanks to the addition of mana cards and ‘instant’ cards, which can interrupt an opponent’s elaborate chain of commands and spoil their carefully laid plans. And while its aesthetic is quite similar to that of Blizzard’s Hearthstone, Eternal is arguably a little more generous when it comes to handing out free packs, making it one of the best free Steam games around. 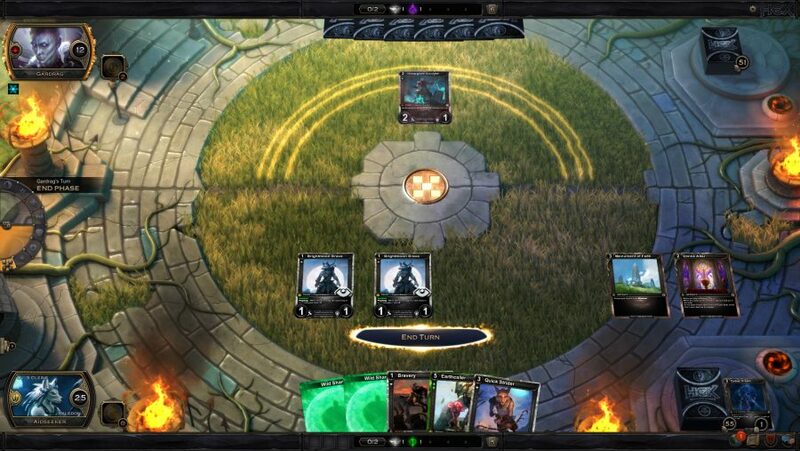 Best of all, Eternal features a draft mode where you get to keep the full collection. If the high fantasy, World Of Warcraft styling of Hearthstone is not your cup of the proverbial, then Shadowverse is a solid alternative. It shares the bulk of its card game mechanics with Blizzard’s Hearthstone, but its Japanese heritage lends it a distinct anime games aesthetic. It is also staggeringly deep, with an evolution mechanic that encourages buffing and transforming minions. Card factions in Shadowverse also trump the rest of the genre when it comes to character-specific traits, leading to some outrageous plays and decks. 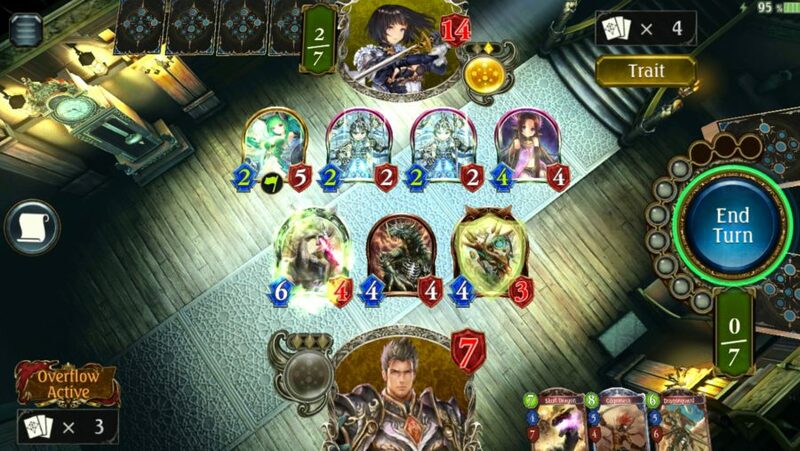 Shadowverse is one of the best card games out there for budding deck-builders. Maintaining control over a kingdom is tricky. That said it is possible to satisfy the fickle whims of the people and keep them all in check, if you play your cards right. 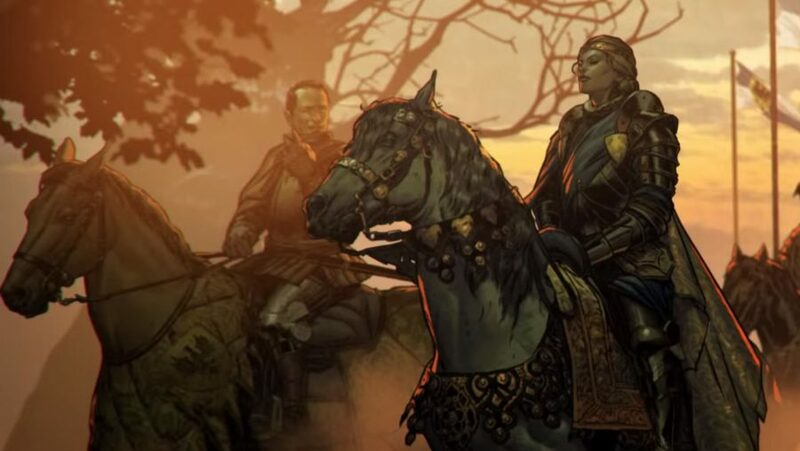 In Thronebreaker: The Witcher Tales, that’s not just true in a figurative sense. As Queen Meve of the twin kingdoms of Lyria and Rivia, you’ll be resisting the invading Nilfgaardian army through the medium of Gwent. Not to be confused with the multiplayer-focused card game from CD Projekt Red, Gwent: The Witcher Card Game, Thronebreaker combines card-based strategy with the Polish powerhouse’s knack for nuanced and fascinating storytelling. Newcomers to Gwent are onboarded gradually as the narrative gets its claws into them, but veterans will appreciate the depth and challenge that emerges from condition-based battles and the different effects conferred by special named characters. This free PC game is the ultimate CCG for Sapkowski devotees, boasting many more spells, units, and special abilities than in Geralt’s third adventure. As a result, it’s going to take much more time to master as you take on friends in Gwent’s best-of-three rounds or get competitive in ranked or casual matches. 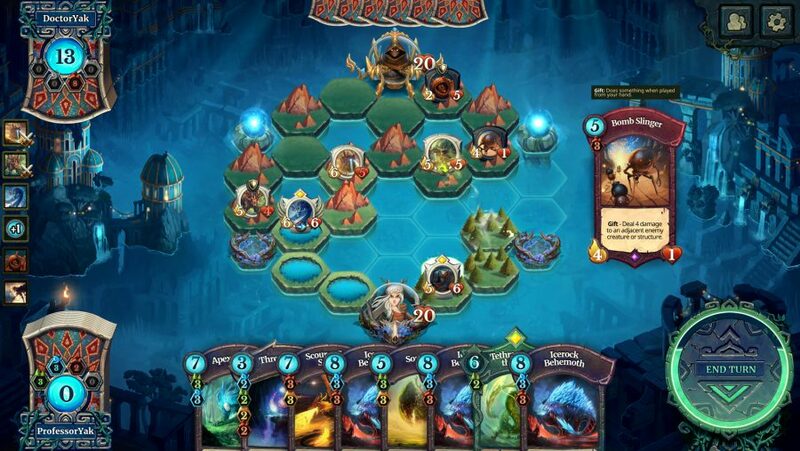 Faeria is a perfectly normal CCG with one notable twist: you have to build the board yourself. The result is one of the best card games that plays nothing like most card games – Faeria is more like a strategy game. That means there are no simple plays or obvious moves, ensuring there is never a dull moment for the tactically minded. You start a game facing your foe across a sea of vacant tiles that are waiting to be built upon. With the option of building two standard tiles, or one special tile per turn, you can either head straight for your opponent or seek out the Faeria wells dotted around the map – these are game’s magical resource, and controlling them is key if you want to play higher cost cards. So you can either try and choke your opponent out of resources or deal direct damage for an early win. Faeria also boasts one of the most versatile deck-building mechanics in the genre, and it is especially handy for card game newcomers. Instead of the player blindly trying to make changes to a starter deck, Faeria encourages players to build their own decks from the ground up by picking codexes – a collection of three cards that all synergise with one another. All you have to do is keep picking codexes until you have a full deck, and because many of them will share the same terrain type or card effect, there is always plenty of power that can be eked out of your hand. The cream of the crop, the top of the stack, and one of the friendliest free to play card games out there. This best card games list probably would not exist without Hearthstone as it jump-started the genre’s popularity after a few years of passive popularity and quickly became one of the most played games in the world. But why is it so good? Simplicity, flow, and regular card expansions, even a few years after release. 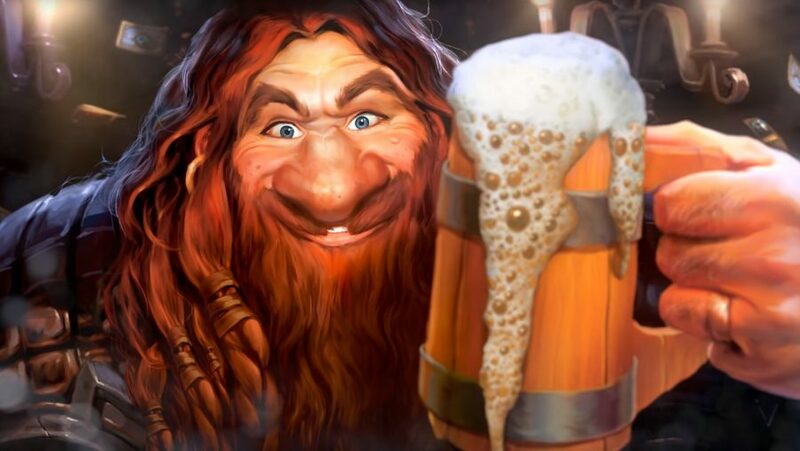 Anybody can pick up and play Hearthstone and it will make sense to them. Maybe they will not wholly understand what they are doing or make the best tactical plays, but there is immediate pleasure in dragging your men around the sandy battlefield, watching them clash into each other and large, friendly numbers popping out. Thanks to this it will also run on pretty much anything, including tablets and phones. Perhaps best of all, there is a thriving competitive community. Playing catch-up to it is no mean feat after so many set releases (that is why we made a list of the best Hearthstone decks for beginners), but Blizzard is looking into ways to alleviate that struggle for new players. It is also quite easy to play for free if you use your gold smartly and keep up with daily rewards, even if you are not particularly good. 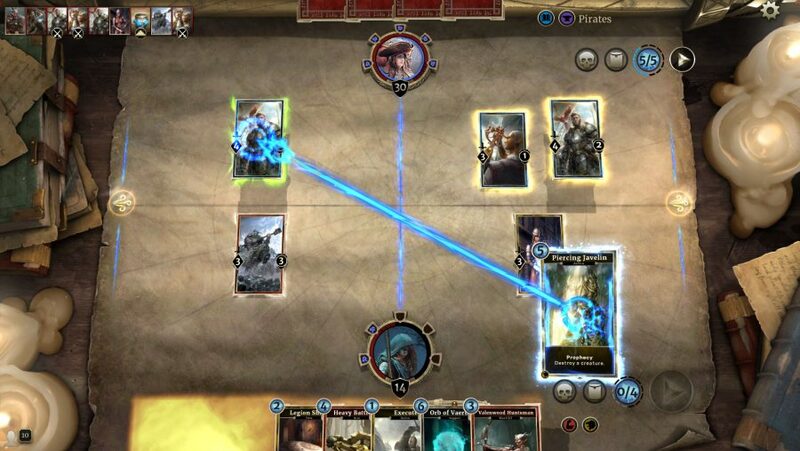 Taking the majority of its visual and design cues from Hearthstone, The Elder Scrolls: Legends adds enough of its own systems and mechanics to eschew any accusations that it is just another clone of Blizzard’s immensely popular CCG. And anyway, what is so wrong about trying to emulate one of the best card games of all time? The most notable difference is the addition of a lane system that splits the board right down the middle. The right-hand side lane (the Shadow Lane) offers concealment for a single turn, the left-hand lane (the Field Lane) has no effect. It sounds like an insignificant feature, but having to decide which lane to place a particular card in or start mounting an attack on adds a huge amount of depth to Legends. The concealment offered by the Shadow Lane, for example, offers protection for weaker cards who might otherwise instantly be wiped off the board. 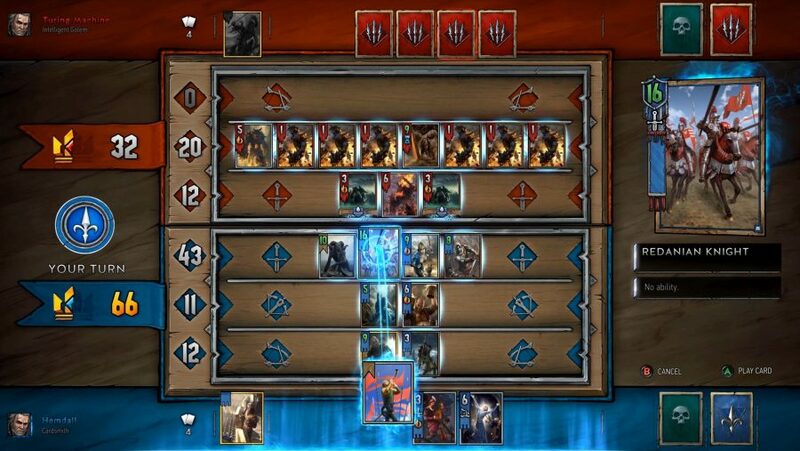 TES:L is also being developed by Dire Wolf Digital, who boast a number of high level Magic players among their ranks. That means they know the genre, and it really shows in TES:L, which plays like a thoroughbred card game with a coat of Elder Scrolls paint on it. The best card games also have the most active communities, and Bethesda and Dire Wolf Digital have done a commendable job of growing their playerbase and keeping those players engaged with regular events, competitions, and narrative add-ons. The Elder Scrolls: Legends has also received a few major card expansions, bringing 150 Skyrim-themed cards to the game that further bulk out both the lore of The Elder Scrolls and TES:L’s mechanics. Hex is akin to Magic Duels in a lot of ways, not least in that its game system is so similar to Wizards of the Coast’s that there was a lengthy legal battle over it. However, Hex has a more competitive angle to it and, not having a real-life equivalent to feed into, has no limitations on which cards are available. While many of the basic building blocks of the game are the same, Hex has far more powerful effects at cheaper costs and exploits its digital nature. Individual cards are also highly modifiable, letting you socket gems into them that change their effect. Many are able to transform into multiple forms, or opponents will be able to shuffle cards into your deck, both of which are difficult or impossible to do in a physical game. There’s Hex PvE content, too, which takes the form of a gauntlet-style single-player component that gives more rewards the further you get. The various multiplayer modes are not very easy to get into without dropping a bit of cash, but there is an obvious progression from one mode to the other and some lucky opens can be turned into in-game currency via the auction house. All of this complexity ensures that Hex: Shards of Fate is among the best card games for veterans of the genre. 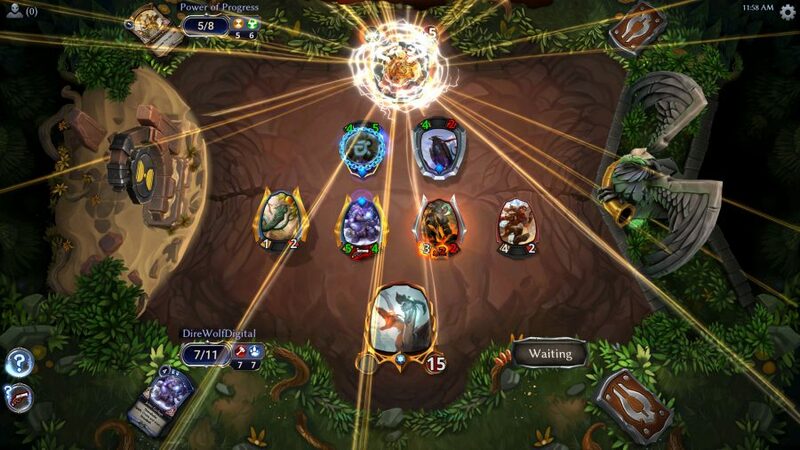 Card battling and turn-based strategy games are a match made in heaven, and Duelyst developer Counterplay Games Inc. are not the only studio to successfully pair the two genres. 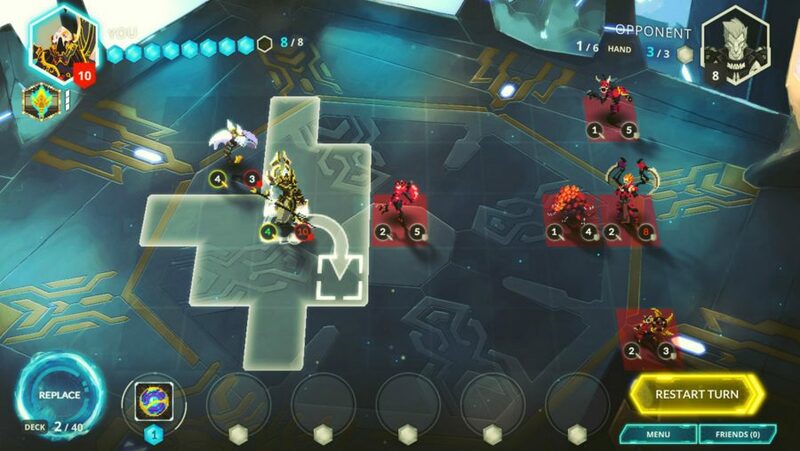 However, Duelyst earns its spot on this list of the best card games because of the five-by-nine grid cards are summoned onto, which gives players heaps of options for placing cards and making strategic plays. Cards are only used to summon in units too, so Duelyst often feels more like a tactical skirmish than a card battler, and with 400 different cards/units the tactical possibilities are virtually endless. On top of all that Duelyst boasts a beautiful 16-bit presentation art style that is reminiscent of indie games like Hyper Light Drifter, something you will not find elsewhere on this best card games list. Magic Duels is an odd thing to recommend. It is good and functional, with a hefty single-player component that will last a few hours without any investment and gives you a leg-up to a few card packs. There is a smattering of online modes and gold is handed out nicely, plus there is a maximum you can pay before all the cards are unlocked that is roughly the price of a normal game. Sadly, it is also a little broken – missing features from previous games and not letting players build their own decks to complete daily quests for rewards. So why is it here? Because it is the best Magic: The Gathering ports around, and Magic is an incredible game. Trading some of that Hearthstone simplicity in for deeper strategy, Magic is easily one of the best card games we have ever played. There is so much to consider at every point in a game of Magic – and even before when thinking about how to build decks – and it has wonderful flavour to its cards. 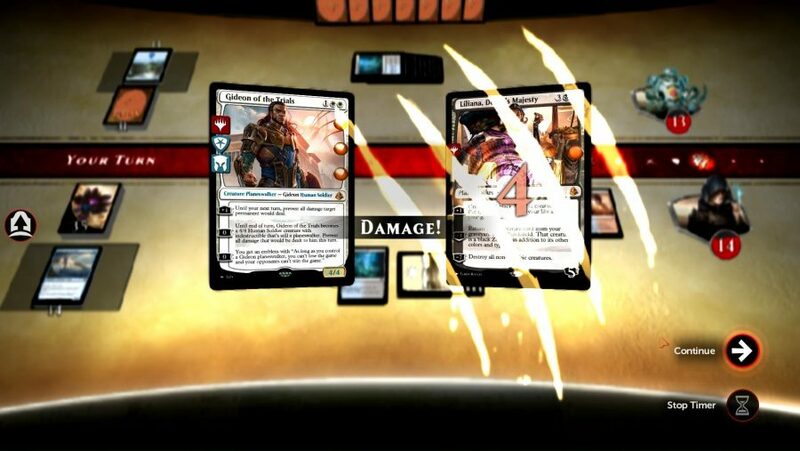 Duels’ changes to the Magic: The Gathering formula make it easier to understand and it is clearly thought of by Wizards of the Coast as a gateway drug to the cardboard crack itself. Magic: The Gathering Online is a more exact port of all the systems and cards, but is difficult to endorse unless you are already a fan. It uses the same pricing structure as the physical version and is also a poorly designed, difficult to use client. Duels, on the other hand, is pick up and play in the best way and has great tutorials for teaching you each part of what is a highly complex game. If you ever thought the best card games were all rather similar then guess again, Ascension is a deck-builder rather than a card battler. But what, you may ask, is a deck-building game? Deck-builders are subgenre of card games where each player starts with an identical deck and then a line-up of cards they can purchase using various resources generated by those starter cards. Those cards then go into their discard pile, which is shuffled into their deck whenever they run out of cards. You start each turn with five cards and discard any you do not use – usually that will not be any of them – at the end. It is a completely different focus, moving the strategic deck-building portion of the game into the spotlight but keeping basic concerns like card sequencing and resource spending in place. Ascension is among the best card games on PC if you are the sort of person that likes playing combo decks with big single turns. Power and runes are your two resources, runes letting you buy new cards for your deck and power allowing you to defeat monsters for victory points. Each card in your deck at the end of the game also has a value, but stacking your deck with crap will not be effective. Instead, it is about finding efficient ways to generate those resources, draw more cards from your deck and guarantee you are playing as many of your powerful cards every turn as possible. You might do this by keeping your deck small, or using cards that stay in play rather than being shuffled back in – there is a huge amount of variety and countless sets to mix and match the cards from. Beautiful art, regular updates, and very fast games round it off as a great thing to waste a little time with. Yep, Ascension is one of the best card games out there, and one of the few deck-builders available on PC. We’ve played our last card, which means that’s your lot: our list of the very best card games on PC is complete. Be sure to check out the best strategy games on PC if you like your games with as much scheming and plotting as possible. Anyway, time to pack up the board and tidy those cards away.